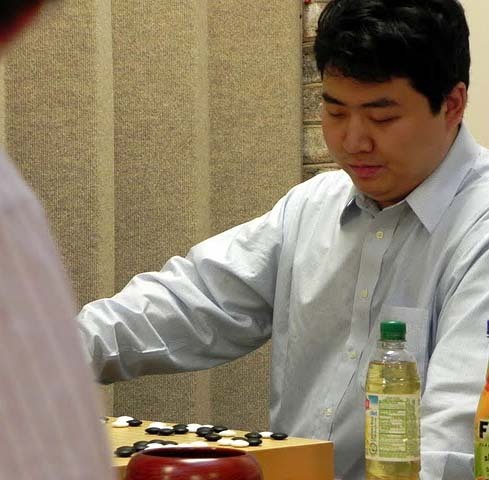 An undefeated Jie Li 7D (r) topped a 58-player field to win the 37th annual Maryland Open over the Memorial Day weekend. 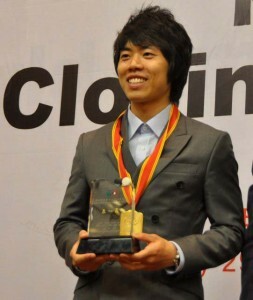 “Five 7-dans and two 6-dans fought it out in a very strong open section,” reports organizer Keith Arnold, “but Jie Li emerged as the only player to finish 5-0 in the entire event.” “I am very impressed by the improvement of the younger generation of players, such as Eric Lui, Gus Price and Ricky Zhao,” Li told the E-Journal. “They played well.” The Empty Sky Go Club won the Greg Lefler Award and Kelsey Dyer 2k the Fighting Spirit Prize. Li is four-time US Open champion, has won the North American Ing and Toyota-Denso Oza three times each, and represented North America three times in the Fujitsu Cup. He’s also served as a board member at the American Go Association for the past two years and urges go players of all ages to join the AGA. “Members get a lot of benefits such as the free Yearbook and playing at rated AGA tournaments locally, or playing online in national tournaments,” says Li. Find out more and join online here. Sam Zimmerman directed. Click here for an album of photos from the MD Open. The deadline for the AGF College Scholarship essay has been extended to June 15th. “The $1,000 award honors students whose enthusiasm and dedication have contributed to the go community,” reports AGF Board Member Matthew Mallory. “All youth organizers and promoters that are in their junior or senior year of high school should apply as soon as possible,” Mallory urges. 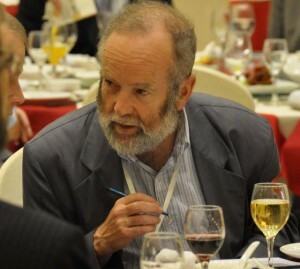 CLICK HERE for more information and the application. The U. S. Youth Go Championships (USYGC) finals are set for June 5 and 6 on KGS. Although Calvin Sun 7d, and Kevin Fang 1d, have already been chosen as the representatives to the World Youth Championships, the USYGC will give kids of all ranks a chance to play for a national title. 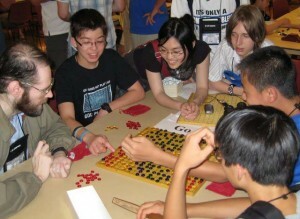 Best double-digit kyu and single-digit kyu players will vie for the top slots, and dan level kids will also be competing in two separate brackets. CLICK HERE for full standings, which will be updated after each round. 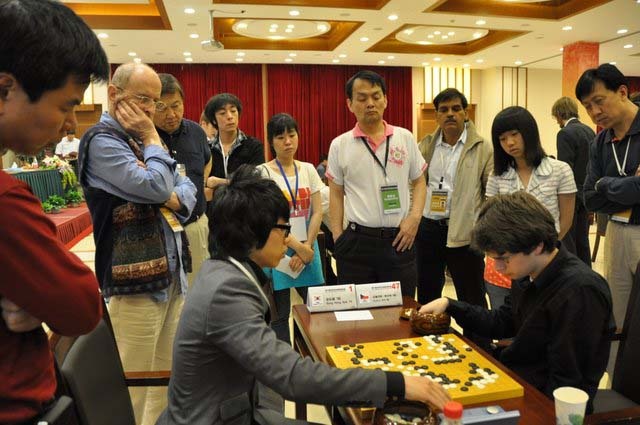 Won Sungjin 9P defeated Kim Seongryong 9P by resignation on Sunday, in the second round of the CS Caltex Cup. 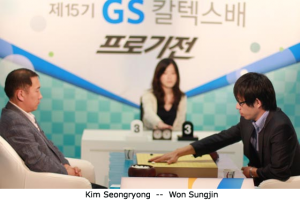 The round will conclude on June 11th with a game between Lee Changho and Kim Junghyun. The winner of the 15th annual tournament will play for the title against last year’s Cup winner Cho Hanseung. Yamashita Keigo 9P defeated Hane Naoki 9P by 1.5 points in the second round of the 65th Honinbo, tying their series at 1-1. Click below for game record. The third round will be June 8-9. 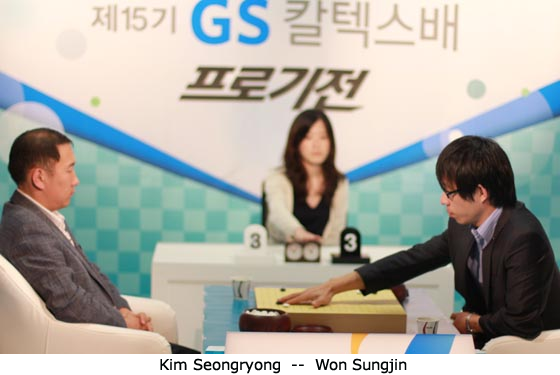 Kim Miyoung 5p defeated Hong Sungji 8p by resignation on Thursday, in the 38th Myeongin’s B League. Now 0-2, Hong Sungji must win his next three games in order to advance to the finals , while Kim Kiyoung enter the third round in a more comfortable position with one win and one loss.